2016 was a huge year for new talent, and 2017 shows no signs of throwing away the baton. And in a time where standing out from the crowd is more crucial than ever, post-punk trio Heat more than prove they have what it takes to succeed with their debut full-length release Overnight. Combining subtle psychedelia with cheerful riffs and Susil Sharma’s hazy vocals, it’s hard to not be totally immersed throughout the entirety of this album. Overnight is a record clearly designed for summer days – Sometimes could easily soundtrack driving in blistering heat, windows down (especially thanks to its beautifully carefree guitar solos), while the so chilled out it’s horizontal Long Time Coming is made for swaying your troubles away in a hammock. The diversity of Overnight’s nine tracks is definitely one of its strengths. The danger of making a dreamy, relaxed album is veering more towards boring lulls than blissful happiness, and thanks to the wide range of instrumentation throughout this record, there isn’t a single instance of the former on Overnight. Single Lush probably benefits from this most, with simple synths and a driving drumbeat being added into the mix to make one of the most engaging and memorable songs on the album. There’s a range of song lengths on here, too. The fact that both the one minute forty Still, Soft and seven-minute long closer Chains both finish too soon surely says something. Of course, this album isn’t for everyone. Those wanting a bit more crunch or pace will be quick to label this “boring”, and Sharma’s voice is so unique that it’s sure to rub a few people up the wrong way. Even for those who like it, there’s bound to be a few vocal flourishes that will raise eyebrows along the way. There are a couple of instances of monotonal singing, like on opener City Lights, which drag the mood down a bit. But aside from that, it’s hard to criticise any one song more than the rest. This makes Overnight a strong body of work, and any problems to be had with it overall is probably due to issues with the genre itself rather than specifics. Whether you’re looking at a few choice cuts or the whole body of work, this is sure to be the start of something for Heat, and the bar has been set high for the new bands of 2017. 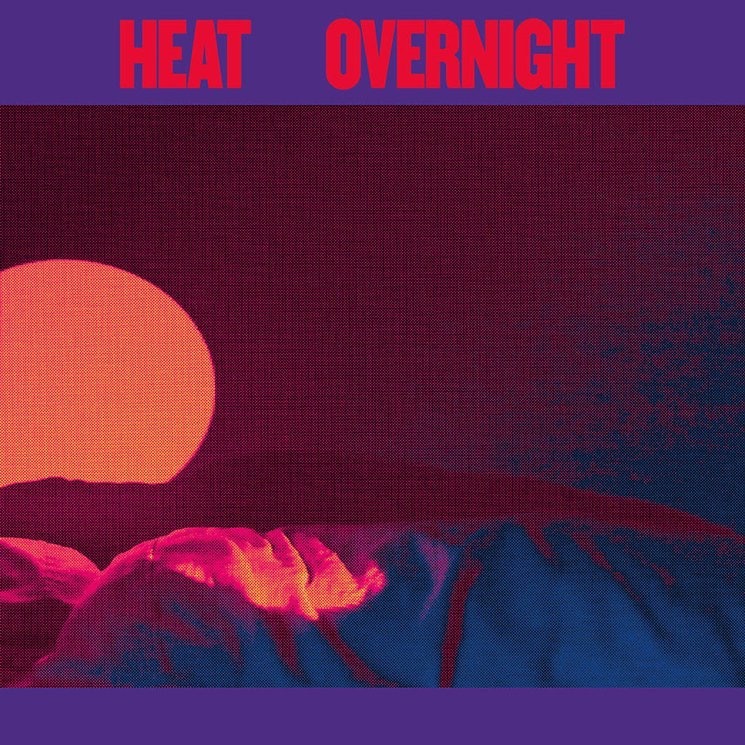 ‘Overnight’ by Heat is released on 20th January on Topshelf Records.